DUARTE — Sheriff’s officials and family members continued their search Saturday for a 66-year-old Duarte woman suffering from cancer and moderate dementia who went missing earlier this week. Patricia Nelson was last seen at her home on Huntington Drive in Duarte about 6:15 a.m. Tuesday, Los Angeles County sheriff’s officials said in a written statement. She may have left her home to take a bus to a doctor’s appointment in Pasadena, officials said. 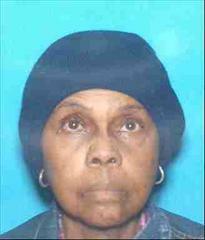 Nelson is described as a black woman, about 5 feet 2 inches tall, 123 pounds, with black hair and brown eyes. She was possibly wearing a sweater and a hat when she went missing. Anyone with information is asked to call detectives Harris or Abraham at the Sheriff’s Homicide Bureau, Missing Person’s Detail at 323-890-5500.